Igor is the Head of instruction of the Kokoro Dojo and as such responsible for the instruction, the technical programme and examinations; he is a Board Member. Igor has an official certification as Aikido teacher level 3 from Aikido Nederland, recognised by the NOC-NSF. He is currently Sandan Aikikai Aikido. He followed stages of many senseis, to name firstly are Fujita sensei from Japan and Peter Bacas sensei, an aikido pioneer in Holland. Later in his path he got fascinated by Yamashima sensei and the line of disciples that follow the line of Yamaguchi sensei. Igor is also passionate about Japan, which he visits regularly for intense aikido training and exploring the Japanese culture. Michiel is the Treasurer of the Kokoro Dojo and as such contact person for any question related to fees and membership administration, he is also a Board Member of the Dojo. 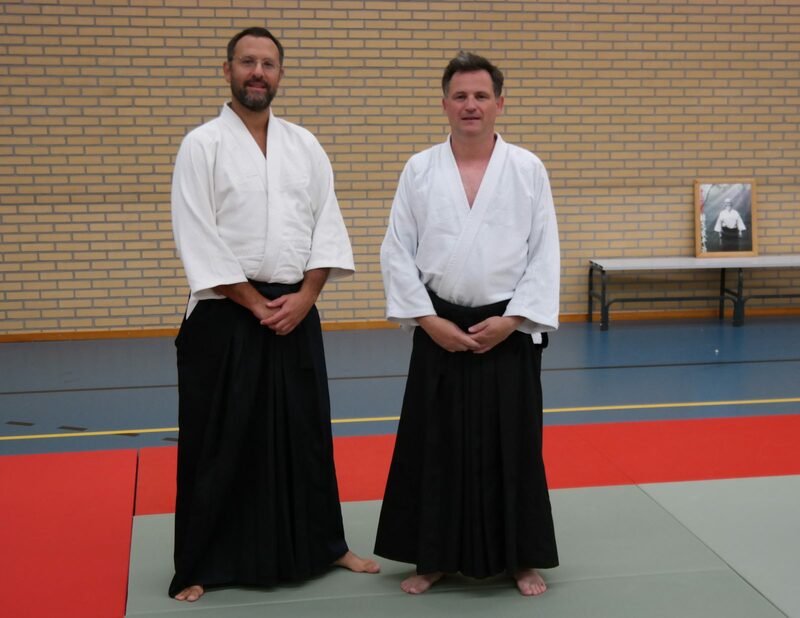 Michiel has an official certification as Aikido teacher level 2 Aikido Nederland, recognised by the NOC-NSF. He is currently Nidan Aikikai Aikido. Michiel’s fascination for martial arts started when he was 14 years old and went with one of his friends to an aikido demonstration in Belgium. His professional life took him to the Netherlands where he practiced in dojo’s in Amsterdam and the Hague, with Peter Bacas, an aikido pioneer in the Netherlands. The kind of aikido that Michiel would like to develop is one that enables the body and the mind to have a steady state, but to become flexible, not only as defender (tori) but also attacker (uke).